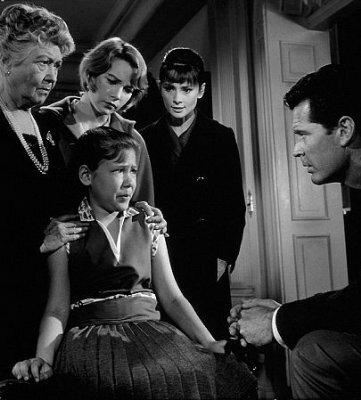 I was delighted that Eddie Muller, TCM’s film noir go-to-guy, did the interview with Shirley MacLaine for The Children’s Hour (1961). He began by noting that with all of her varied accomplishments, she still identifies herself as a dancer. MACLAINE: I don’t, in real life, see myself as a dancer, certainly not anymore. But, I have the discipline, I’m a team worker. I’m used to cruel directors and choreographers, who are schooled in cruelty. Eddie, if I had to identify myself with any profession, I think it would be that because those are my values. As a person, I’m an observer, I would be very happy to watch others. I love it. Oh my golly, it’s like an entertainment for me. MULLER: I was surprised that you’ve written twelve books. MULLERr: Thirteen books . . . Can you talk a little bit about how your work as a writer is similar or different from performing? 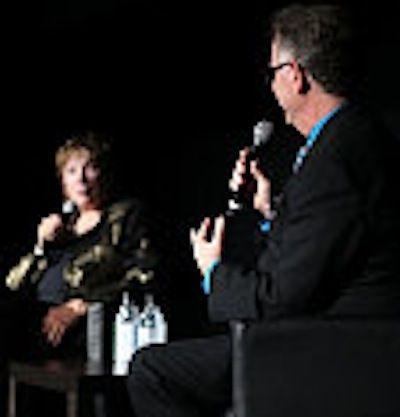 MACLAINE: The expression of what I observe is why I started writing. Because I’m so privileged to be able to go anywhere, the fact that I was kind of famous when I was very young. I had a passport to the rest of the world and I went all over the world. I would get on Pan American Flight 1 and this was a long time before TSA and Thugs Standing Around, that’s what that means to me (crowd laughter). I would get off in some country I hadn’t been to before. That made me want to write and share the experience that I had . . . I really felt that I had an angel on my shoulder and that’s how I got into that, my interest in metaphysics and so forth. MULLER: The Possession of Joel Delaney that you made in the early 1970s . . . I don’t think it’s going to be part of the TCM Festival anytime soon. MULLER: I want to give a little love to that movie that I think is underrated. What’s your opinion? 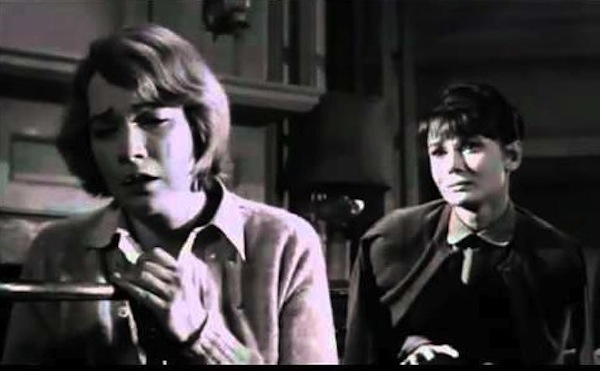 MACLAINE: First, let me tell you, Bill Blatty wrote The Exorcist (1973) for me. Her [the mother’s] name was Chris MacNeil and the couple that worked for her were the couple that worked for me . . . 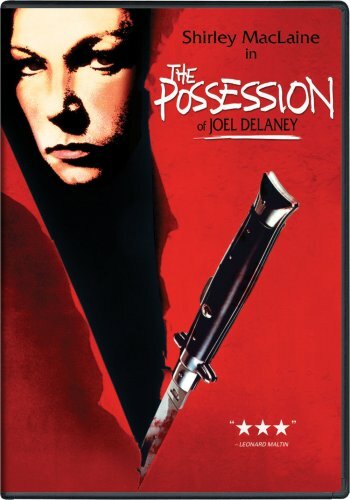 Instead I did The Possession of Joel Delaney which was about possession, as was The Exorcist. The studies that I did [showed that] it was legitimate. It was terrifying. 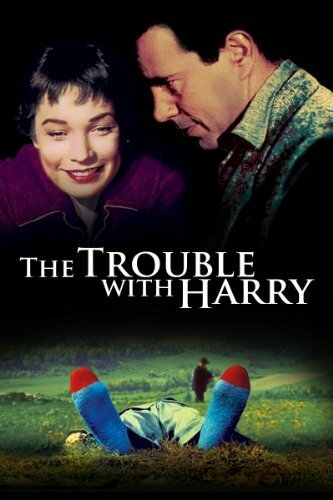 One of the things that attracted her to the project was that the screenplay adaptation of Lillian Hellman’s play was by John Michael Hayes who also adapted Alfred Hitchcock’s The Trouble With Harry (1955), her first film. MACLAINE: I adored Audrey Hepburn. We really had a wonderful relationship. There were scenes in the film where I was brushing her hair lovingly, ironing some of her clothing, scenes about how much love this woman had for another. 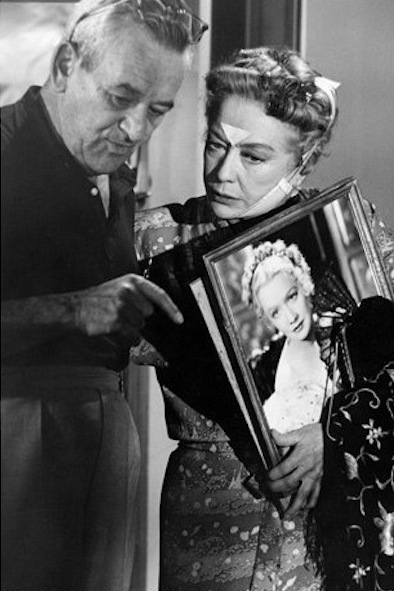 I remember Willy [director William Wyler] cut some of it out. Frankly, I don’t know why. I think his sense of trepidation got the best of him. In doing so, I think it pared the picture down where we could have had more of what it was really like to be in love with another woman. MULLER: Did you have any idea why he wanted to make this movie? If we have to cut this out, if we’re nervous about what we’re doing . . .
MACLAINE: I think he was upset that he had screwed up with the first one. I think maybe he wanted to give Lillian Hellman . . . he had issues with having not respected Lillian’s original play. I could be wrong. 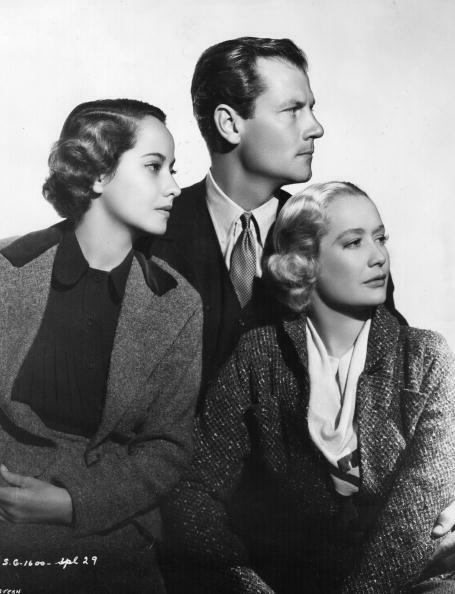 [note: Wyler’s first adaptation of Hellman’s The Children’s Hour (from her screenplay), retitled These Three (1936), starred Merle Oberon, Joel MacCrae and Miriam Hopkins. It dropped the lesbian theme which the Production Code would not have allowed. Hopkins also appeared in the later film as a cranky older woman.] And he had an affair with Miriam Hopkins. I loved watching these two old senior lovers flirt [They were each about 60]. MACLAINE; He had a big old affair with Miriam Hopkins years and years ago, before the world was round. And they knew that we knew all about their history. They’d flirt in the middle of these dramatic scenes. It was so cute . . . He was a terrific, terrific man. We always said that he was silent and didn’t say much. It could be because he couldn’t put it into words which was one of his problems. But also by that kind of behavior he forced us to think deeper about what his job really was. MULLER: When was the last time you saw this picture? Do you remember? MACLAINE: 1922? I don’t know, I don’t stop and watch myself on television unless it’s a dance number. MULLER: I only ask that because I’m fascinated how it will play with today’s audiences. MACLAINE: I think it’s about the manipulation of the truth. As I said, in every lie there’s an ounce of truth and that’s why Willy did it . . . You’re watching the character [ask] “Is this really so about me? This child has brought this out and I’ve never really looked at it.” Or, she wanted to be more open and honest about it but because of the reaction she was getting around the school, put a cap on her feelings.